People who love the action and excitement of playing paintball now have the chance to do it in their very own home. Forget the mess and pain of playing, only the good parts are represented in Digital Paintball 3. Read on to discover if the computer game manages to realistically capture the fun of playing paintball for real. People who have tried simulated games before are probably aware that they tend to be a bit on the easy side. The same cannot be said for Digital Paintball 3. This game is ideal for players who have already honed their skills and are searching for bigger and badder challenges that will really put them to the test. The game graphics are just as colourful as the game of paintball itself and almost seem to explode off the screen. 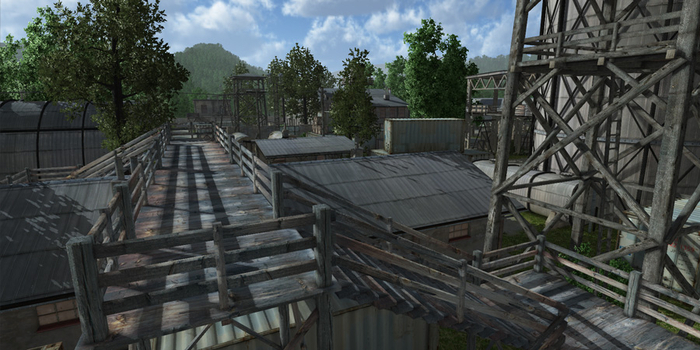 The action takes place in any of a number of different locations, all of which have been created in plenty of detail. Players who find that these locations are lacking for any reason or simply want to mix things up a bit with new challenges will also be able to create their own maps and make them as easy or as difficult as they like. Gamers can play alone or against a number of different opponents. The multiplayer mode makes it possible for groups of gamers to get together and have fun trying to take each other out. This adds a personal touch to the game that adds to the sense of competition and urgency and helps to make it even more fun. This is one case where the old saying no pain, no gain simply does not apply. Of course, players will not be able to experience the actual pain of being hit by a real life paintball, but as anyone who has played the game for real can testify, this is not a bad thing. Stepping into the virtual world means that even gamer who are not particularly physically fit can join in the fun and the game is suitable for people of all ages. Digital Paintball 3 manages to strike a good balance between fun and realism that gives gamers a lot to get excited about. While the game could use a few more weapons to choose from, the weapons that are represented are fun to use and there is plenty of colourful war play for gamers to enjoy.